The UK equity market has displayed a rather odd behavior in August since 2011: alternating mildly positive returns for the month in even years, with large negative returns in odd years. 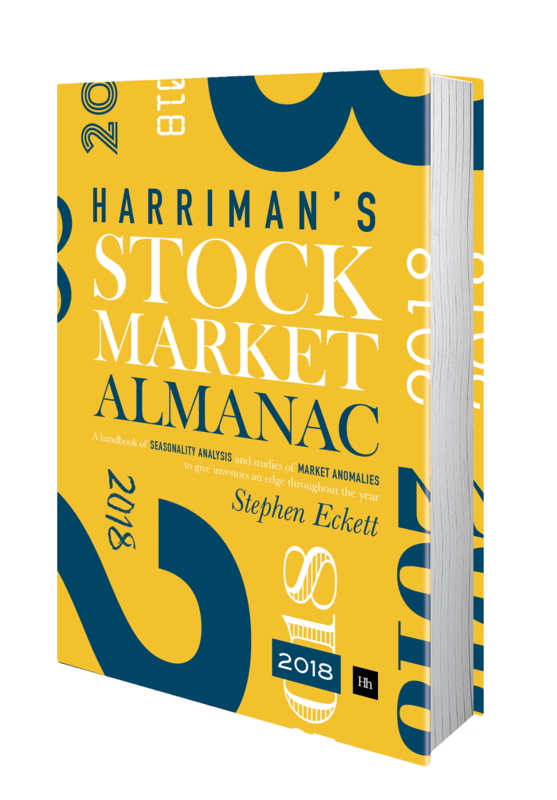 However, that pattern broke down last year, in 2017, when the market had a small positive return (0.7%) in an odd year. Besides that odd pattern, as can be seen in the chart, apart from the anomalous years of 2008 and 2009, since 2000 even when the market does rise in August, the returns are small. 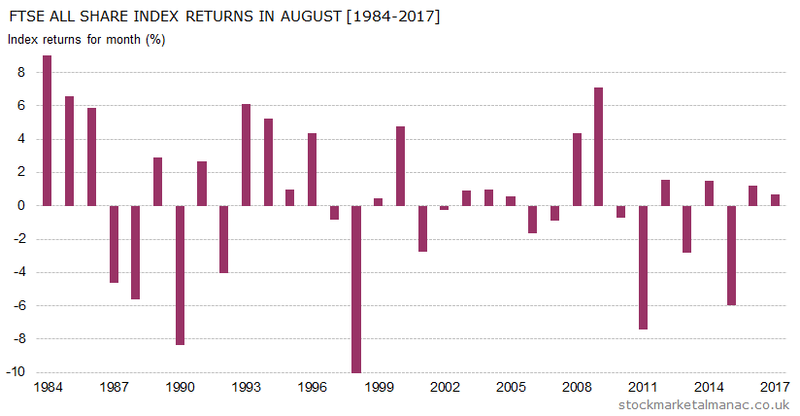 From 1970 the average return for August of the FTSE All-Share index has been 0.7%, with 63% of years seeing a positive return in the month. But since 2000 the performance has declined and the average return has fallen to zero. As a result, August now ranks ninth of all months of the year. The strongest sectors in August in the last ten years have been: Oil Equipment Services and Distribution, Gas, Water and Multiutilities, and Software and Computer Services. While the weakest sectors in the month have been: Fixed Line Telecommunications, Mining, and Oil & Gas Producers. Significant dates this month are: the MPC interest rate announcement on the 2nd, US Nonfarm payroll report on the 3rd, the MSCI quarterly index review announcement on the 13th, and the LSE is closed on the 27th (Summer bank holiday).